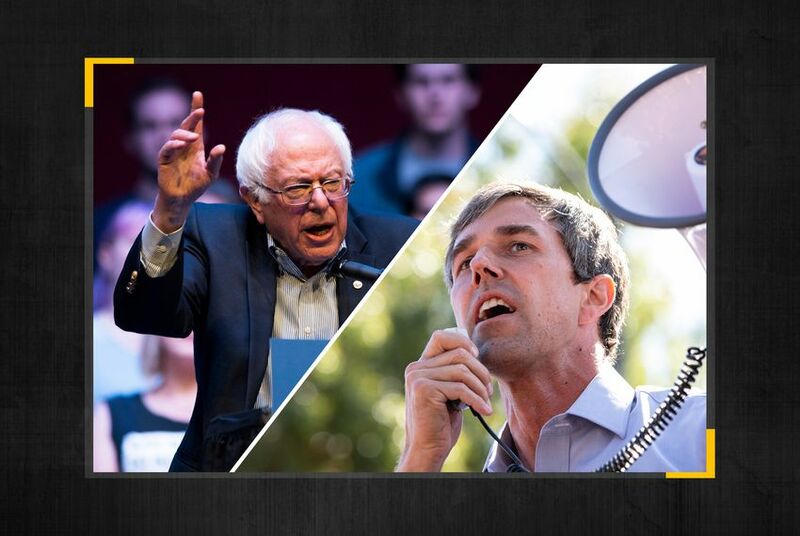 CLAREMONT, N.H. — Beto O’Rourke announced additional details Wednesday about the massive fundraising haul in the first day of his presidential campaign, showing that while he may have beat rival Bernie Sanders in total money raised, Sanders had the advantage in two key metrics. After a campaign stop here, O’Rourke told reporters that he received “more than 128,000 unique contributions” in the first 24 hours, with an average donation size of $47. O'Rourke's campaign later corrected the average donation size, saying it was actually $48. By comparison, Sanders’ campaign said its first-day haul came from over 223,000 individual donors for an average contribution size of $27. While O'Rourke didn't elaborate on what he meant by unique contributions, the measure is generally regarded as different from the number of individual donors. O’Rourke first announced Monday that he had raised $6.1 million in the opening 24 hours of his campaign. That figure was $5.9 million for Sanders. O’Rourke built a small-dollar donor army with his blockbuster U.S. Senate campaign last year. But Sanders has also proven to be a fundraising phenomenon and accumulated a more massive base of small-dollar donors during his 2016 presidential bid. Correction: An earlier version of this story misstated the number of individual donors Bernie Sanders' campaign reported for the first 24 hours of his campaign.